Thanks for the heads up Dean. I'll be using pins for Dye Transfer printing, It's good to have a source for registration pins. You're the man! Thanks for the great service. American Circuit Technology has designed a line of registration pins that are available in prototype and production quantities. ACT Registration Pins are held to tolerance of .0005 at critical diameters. We will address tolerance of .0003 tenths for special applications. Our pins are available in stainless steel, brass and plastic. ACT specializes in custom sizes and configurations. If you have any "special need" please don't hesitate to fax/email us a print or a sketch of what you have in mind! Our Tab Mounted Pins (register pins with bases) offer a quick and easy method for registering artwork in round tooling holes. Register pins are mounted on a durable thin stainless steel base. Each pin is chamfered to allow easy insertion into punched materials. Tab Mounted Pins are ideally suited for critical registration applications such as Printed Circuit Board Imaging, Dry-Film and Liquid Photo-Resist, Name Plate Imaging and Silk Screening. A large base is provided for securing the pin after alignment for volume product silk screening. .030" .040" .060" .070" .085" .110" .120" .145" .155" .160" .250"
Sale Price: $3.25 You Save: $0.73 (18.34%)! Available in Stainless Steel or Brass. 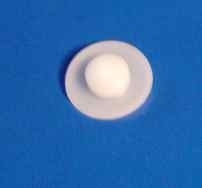 Round Register Pins are available in sizes ranging from 1/16" to 1/4". Custom sizes are available on request. Tolerance at primary diameter is held to +/- .0005. On request, tolerance of +/- .0003 can be provided. There is a 12 qty. order minimum for this item. .145" .125" .090" .032" .020" .030" .040" .050" .060" .070" .085" .110" .120" .145" .155" .160" .250"
Sale Price: $3.15 You Save: $0.35 (10%)! Stainless Steel Oblong Register Pins. This artwork pinning tool is designed for oblong/slotted tooling holes. Tolarance on flats held to +/- .0005. .032" .090" .125" .145" .020" .030" .040" .050" .060" .070" .085" .110" .120" .145" .155" .160" .250"
Plastic Round Register Pins available in a wide range of sizes up to 1/4". UV Round Register Pins: Engineered for applications where copper is maintained after etching. Available in a wide range of sizes 1/8" to 1/4". .032" .090" .125" .145" .040" .050" .060" .070" .085" .110" .120" .145" .155" .160" .250"
The ACT film punch is a sturdy precision tool.designed to accurately punch tooling holes into master and working copy photographic films that are to be pin registered. Punches are available in round and oblong styles. The ACT Film punch is made from "jig" grade aluminum, finished in black anodized coating. Pre-punched films processed with custom designed pins will provide dollar saving benefits to board shops. Please call for details. Shoulder Tooling Pins: Custom Shoulder Styles Available. Call for pricing. Laminations Pins: Standard and Custom Sizes Available. Call for pricing. Button Tooling Pins: Standard and Custom Sizes Available. Call for pricing. Photo imaging is one of the critical steps in the manufacturing process for printed circuits. The quality of the finished product is determined by the care and attention given to the tools used in the photo room. With personnel who have worked in photo engineering for more than 20 years, American Circuit Technology is very familiar with many of the common registration problems caused by poorly designed registration pins and film punches. Fixed registration pins in your process eliminates the need for visual film alignment and taping films to panels. Pin registered panels will provide the repeatability needed to maintain critical tolerances for your production runs, large or small. American Circuit Technology has designed a line of registration pins that are available in prototype and production quantities. Additionally, ACT provides personalized photo engineering services to meet your specific registration requirements. 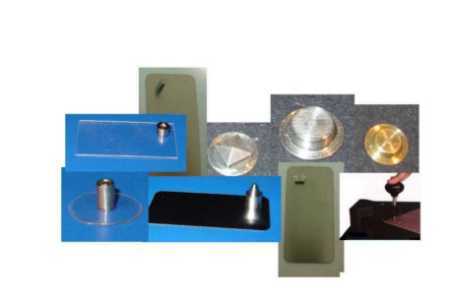 Our registration pins and film punches can be custom engineered to your exact requirements.